Lightweight concrete or foamed concrete is a versatile material which consist primarily of cement-based mortar mixed with at least 20% air by volume. It has high flowability, low self-weight, minimal consumption of aggregate, controlled low strength & excellent thermal insulation properties. Foam concrete, Aerated Concrete, Lightweight Concrete, or Porous Concrete Cellular, Concrete whatever you may say is a cementitious paste of neat cement or cement & fine sand with a multitude of micro/macroscopic discrete air cells uniformly spread throughout the mixture to create a lightweight concrete. Foam concrete is a type of porous concrete. According to its features & uses it is similar to aerated concrete. Foamed concrete has been defined in several ways. Indeed it has a number of synonyms such as cellular concrete often there is confusion between foamed concrete & similar materials such as air-entrained concrete. A definition, cited by Jones (2005) states that “Foamed concrete is a cementation material having a minimum of 20 percent (by volume) of mechanically entrained foam in the plastic mortar”. Cellular Concrete was first manufactured in Stockholm, Sweden in the early 1900s. After the Second World War, this technology quickly spread to different parts of the world, mostly Europe & in the Soviet Union. These were used in site reconstruction & in low-rise structures. The first comprehensive review on foamed concrete was presented by Valore in 1954 & a detailed treatment was done by Rudnai, Short & Kinniburgh in 1963. The first high scale foamed concrete construction project in the UK was completed in 1980 at the Falkirk Railway Tunnel in Scotland. Around 4500 m3 of 1100 kg/m³ bulk density foamed concrete was placed in the annular space surrounding the tunnel. The largest project in the UK required around 70,000 m³ of 500 kg/m³ foamed concrete by utilizing supply pipe & cable in the road foundation at Canary Wharf, London, where also the first author was involved. In India, “FOAM CONCRETE INDIA” is a sister concern of Pavertech Constructions (P) Ltd., solely catering to customers who have requirements of foam concrete (cellular lightweight concrete) in all aspects with its head office at New Delhi. Concrete design methods are rapidly improved in the last 40 years. Lightweight foamed concrete made with a combination of cement, water, fine aggregate & foam agent has very fine pore structure, unlike that made with conventional concrete. Foam or bubbling agent in concrete is used to absorb humidity, for as long as the product is exposed to the atmosphere, allowing the hydration process of the cement to continue for its ever-continuing strength development. As in a normal concrete the greater the air content, the weaker is the material, so with foamed concrete densities ranging from 300 to 1700 kg/m³. it is not surprising that the lower densities produce the lower strengths & at present, even the densities at the upper limits do not produce strengths much above 15 MPa. By pre-foaming a suitable foaming agent with water & then combining the foam with paste or mortar. By adding a quantity of foaming agent to the slurry & whisking the mixture into a stable mass with the required density. To get a high performance & quality foamed concrete, the selection of the material is very important. The various materials, equipment & procedure are discussed separately below. The major raw materials of HySSIL(High-Strength, Structural, Insulative, Lightweight) or cellular lightweight concrete are cement, pozzolanic additives, selected sand, water, extra cement additive & HySSIL activator compound (air entrained). One of the main differences, when compared to normal concrete, is that HySSIL concrete does not contain coarse aggregates. Protein-based foaming agents like Greenford & Kemilite PR are normally used. There are many types of Portland cement, high alumina cement, super sulphate & special cement as masonry cement etc. As per ASTM standard, the type I, II, III are preferred to use, because of its fineness & chemical composition. However, Ordinary Portland Cement [to BS 12:1996 (IS: 8112:1989) or BS EN 197: Part 1: 2000 (IS 1489-1 (1991))] is usually used as tile main binder for foamed concrete. However rapid-hardening Portland cement to BS 915:1983 (IS 6452 (B) (1989)) has also been used. Portland cement is essentially calcium silicate cement, which is produced by firing to partial fusion, at high temperature approximately 1500 Cº. It has different rheological & strength characteristics, especially used in combination with chemical admixtures & supplementary cementing materials/mineral admixtures. Therefore, it is necessary to look at its fitness & chemistry while choosing. Normally, the fine aggregates consist of natural sand, manufactured sand or combination of them. The fine aggregate for concrete that is subjected to wetting, exposed to the humid atmosphere, or in contact with moist ground shall not contain any material that has reactive effect in cement to cause excessive expansion of cement mortar. Only fine sands suitable for concrete [as per BS 882:1992 (IS 383:1970)] or mortar [as per BS 1200: 1976 (IS 2116 (1980)] having particle sizes up to about 4 mm & with an even distribution of sizes should be used for foamed concrete. This is mainly because coarser aggregate might settle in a lightweight mix & lead to the collapse of the foam during mixing. Check the Quality of Sand at Site! The water used for producing a foamed concrete should be potable. This is crucial when using a protein-based foaming agent because organic contamination can have an adverse effect on the quality of the foam, & subsequently on the concrete produced. The water/cement (or binder) (w/c) ratio of the base mix required to achieve adequate workability is dependent upon the type of binder(s), the required strength of the concrete, & whether or not water reducing or a plasticizing admixture have been used. In most cases, w/c ration will be between 0.4 & 0.8. Where the water content of the mix would be inadequate to ensure full hydration of the cement, the water will be extracted from the foam & might lead to its disintegration. On the other hand whilst high w/c ratios do not significantly affect the porosity of the foamed concrete, they do promote segregation & increase drying shrinkage. In foam concrete, synthetic or protein-based foaming agents (surfactants) are used to produce foam. Because of the possibility of degradation by bacteria & other microbes, natural protein-based agents are rarely used to produce foamed concrete for civil engineering works. Group of research is underway on the use of protein-based agents for developing high strength. Synthetic-suitable for densities of 1000 kg/m³ & above. Protein-suitable for densities from 400 to 1600 kg/m³. In this, the protein-based foaming agents come from animal proteins (horn, blood, bones of cows, pigs & other remainders of animal carcasses). Batching & mixing of Foam concrete is similar to that of normal strength concrete. The cement used for making slurry is usually Type 1 Portland Cement, although other types of cement can be used. If sand is specified in the mix design ideally it should be fine with 2 mm maximum size & with a grading of 60 to 90% passing through a 600 µ sieve. The water-cement ratio of the slurry is usually between 0.5 & 0.6. If it is required more water can be added to increase the workability. First of all, the cement mortar slurry is made at the batching plant, according to the mix design, by either the DRY or WET method. Also Read: In Which Type of Projects We can Use Precast Concrete? Curing is a process of preventing freshly placed concrete from drying at first. During the first day of its life to minimize any tendency to cracking & allow it to develop concrete strength. Cellular concrete is generally air-cured. Curing can be accelerated by applying heat, steam or chemicals. A curing compound prevents excessive loss of water after casting & consequently increases strength. Depending upon the outside temperature & upon the cement quality used, building elements of cellular concrete may be stripped 6 -10 hours after casting. Like conventional dense concrete curing on the yard or on the site it should be facilitated by keeping the demoulded elements, under moisture for a few days. Using the same basic components as for dense concrete, viz., sand, cement & water, & considering that “neopor” foam has no chemical reaction in concrete beside serving as a wrapping material for the air bubbles embedded, aging of cellular concrete virtually carries on infinitely & as long as the cement used draws humidity from the air. The fresh/green concrete & the hardened concrete. Three main properties should be controlled in fresh concrete; workability, consistency & cohesiveness. On the other hand, for hardened concrete, the strength is the most important parameter of concrete. The physical properties of foamed concrete are related to its density, which can be regarded as its main design criterion. It is also dependent on material mix & the method of he mixing. Several studies investigated the physical & mechanical properties of foamed concrete cast in different densities, with or without fine aggregates in the mix as the density of cellular concrete can be varied over a wide range of 320- 1920 kg/m3. Water absorption: approx. 5 % at a density of 1200 kgm-3 no condensation closed cellular structure. This density is primarily used for thermal insulation or fire protection. It uses only cement (or little fly ash), water & foam & can be easily pumped. Foam generators enable the production of stiff foam for appling on roof-tops with slopes. Is also used for void-filling, such as landscaping (above underground construction), to fill voids behind archways & refurbishing of damaged sewerage systems. It is also useful for manufacturing building blocks. Used in producing blocks & other non-load bearing building elements mostly, such as balcony railings, partitions, parapets & fence walls etc. These are the most commonly used densities for prefab & cast in situ walls, load-bearing & non load bearing. It is also successfully used for floor screeds (sound & insulation, plus weight reduction). The reduction in foundation loads may result in smaller footing, fewer piles, smaller pile caps, & less reinforcing etc. Reduced dead loads may result in smaller supporting members (decks, beams, girder, & piers) resulting in a major reduction in cost & result in larger space availability. The reduced dead load would mean reduced inertial seismic forces. Lighter & smaller pre-cast elements need smaller & less expensive handling & transporting equipment. The savings while using CLC are manifold. Continuing with substantial savings in raw material as here no gravel is required, decreasing a dead load of high-rise structure, say reducing by almost half. Considering that a substantial amount of steel is necessary only to carry the weight of the structure, the steel requirement will reduce by hundreds of ton in a high rise, resulting in economy with savings to all. Weight reduction is obviously beneficial in transport, as transportation cost is also reduced considerably, impacting crane usage. Further either larger panels can be erected, or the full capacity in the span can be used. Alternatively, less relocation of the crane is necessary. Thermal Insulation increasingly turns to be the most important issue in the planning & construction of buildings. There are many costly materials and method used for insulation on the sandwich structure of a wall, adding the one or another rigid insulation. Incorporation of thermal insulation in the concrete mix is the best solution, as offered in air-cured cellular lightweight concrete. The air-embedded in cellular lightweight concrete (CLC) is also used for the high fire rating. In 1200 kg/m3 density a 13-14 cm thick wall has a fire endurance of 5 hours. As the thermal capacity of building members is better the other aspects such as sound insulation is also good. Sound reflected is experienced as air-borne or foot-fall sound (impact). Being airborne it is the rule of density & therefore CLC offers superior protection than very light concrete (ACC). For impact sound, it is superior to conventional concrete. Hitting a wall with a hammer will let you feel the full force on the other side, whilst the air embedded in CLC dampens the blow to pass through. It will suffer a small dent & thereby prevent any larger damage. The cost for one m³ of CLC in most cases is less, even than for the equivalent volume of conventional concrete. Adding all the highly appreciated benefits (comprising CLC) to regular concrete, the cost is half. Even if you spend double the cost for regular concrete still the overall quality of CLC is unreachable. Foam concrete is naturally self-leveling & self-compacting, filling the smallest voids, cavities & seams within the pouring area. In excavations or poor soils, that cannot be easily compacted, foam concrete forms a 100% compacted foundation over the soft sub-soil. Compaction of regular, granular concrete for backfill against retaining structures or deep foundations can cause damage or movement to the adjacent structure. In case of foam concrete with its reduced lateral loading is a safe solution. The absence of aggregate creates the ball-bearing effect of the foam and makes cellular concrete of much higher consistency. It distributes evenly & fills all voids completely ensuring uniform density all over. In this way full height walls of a complete building (all internal & external walls) can be poured in-situ in one step/cast, thus speeding-up the construction considerably. Foam concrete is an economical and cost-effective solution, particularly in large volume applications, where its use can also have an effect on other aspects of construction. From the above advantages, it is clear that all lead to saving money & time. The longer durability of foam concrete means, lower maintenance costs. High volume equipment with rapid installation reduces installed unit costs, Savings in manpower cost etc. Only limited numbers of workers are needed to produce foamed concrete for casting, pouring of panels, blocks or even complete walls for houses. 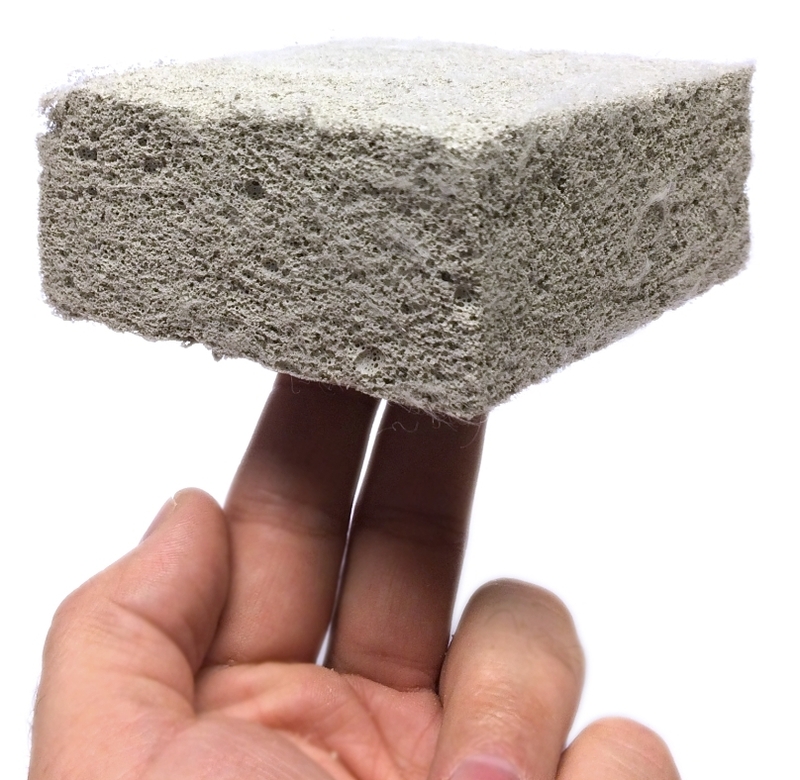 Recent studies and analysis have shown that the foam concrete has a desirable strength and is an alternative construction material for the industrialized building system. The strength of foam lightweight concrete is low for lower density mixture. It offers a significant reduction in the overall weight of structural frames, footing or piles and provide rapid and relatively simple construction. The density of concrete is reduced due to the introduction of voids throughout the sample caused by the foam and hence the decrease in the compressive strength of the concrete. Foam concrete requires, no compaction, vibration and it fill all cavities, voids, and seams over a long distance. It offers quick and settlement-free construction with good heat, sound insulation and air content. Foam concrete has good thermal insulation; good freeze/thawing properties and has excellent fire resistance properties. Previous PostPrevious Infographic | Reasons to Choose uPVC Window for your Home Window! Next PostNext Retaining Wall | A complete Basic Guide.